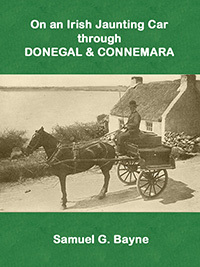 Read On an Irish jaunting Car through Donegal and Connemara at your leisure and help support this free Irish library. Samuel Gamble Bayne was born in Ramelton, County Donegal, and educated at Queen's University in Belfast. At the age of twenty-five he left for America with a view to making his fortune. He invested in an oil well in Pennsylvania and later founded a bank which subsequently came to be the JP Morgan Chase bank in New York. By the time this book was written he was wealthy enough to be referred to as a billionaire. 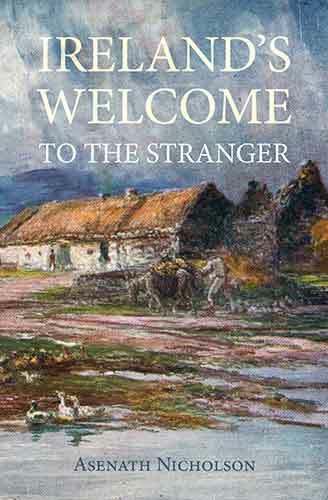 His account of the tour through the north, west and south of Ireland is a pleasant snapshot of how that part of the country was in the early part of the 20th century. He describes what is to be seen, gives some background history and, through the illustrations especially, provides wonderful glimpses of the area's social history. The ebook is available in .mobi, .epub, and .pdf formats. See details ».